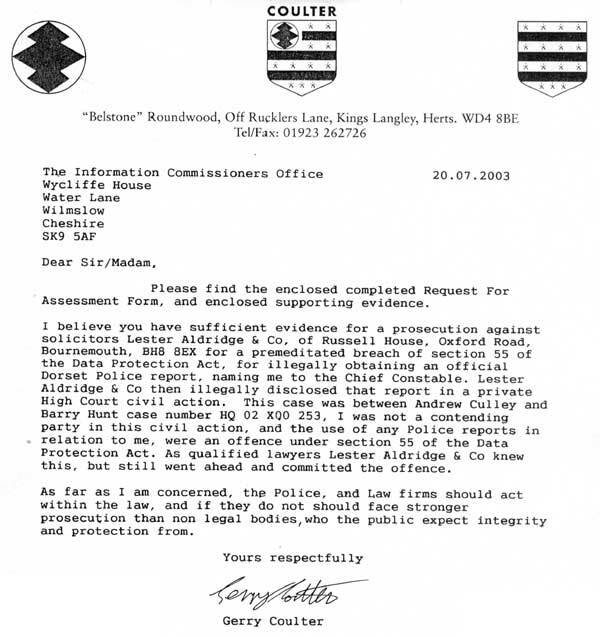 LESTER ALDRIDGE handled a Confidential Police Report to the Chief Contsable, naming Mr Coulter. Not only was the information wrong, they put this report into a supposed private civil action where Mr Coulter was not a contending party. Causing him to become embroiled in that action and instructing solicitors to put statements and letters to the judge. This would amount to an offence under section 55 of the Data Protection Act which is a Criminal Offence.